How does it feel to have a rocking chair, I mean just imagine to have a huge luxury chair which is giving you constant swings. You are moving and literally rocking, isn’t that something pretty exciting to have? Simply this could be the best substitute of a full fledge swing. 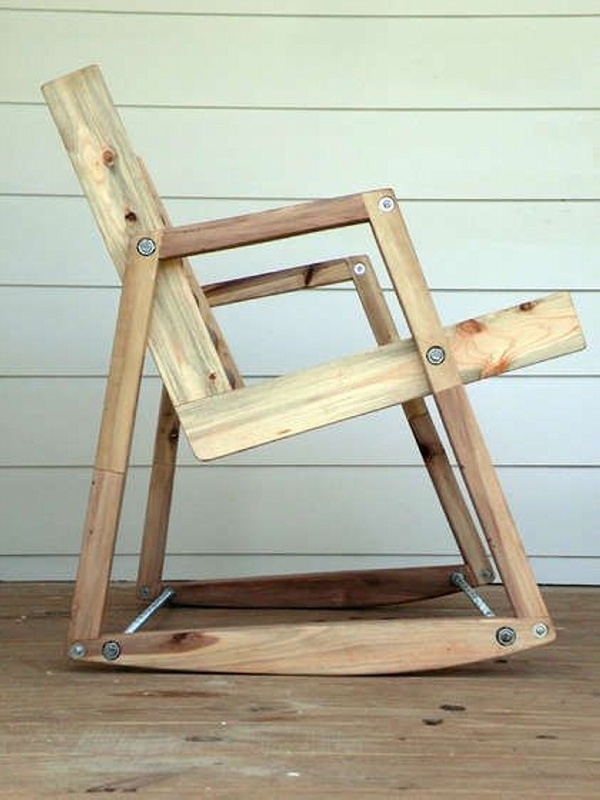 This rocking chair is totally different from the common wooden chair. It usually has two rockers connected to the legs which keep it rocking. 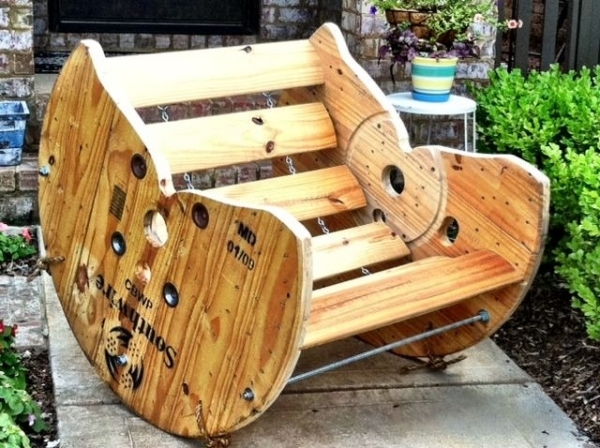 So making a wooden pallet rocking chair would just be a great and exciting experience. 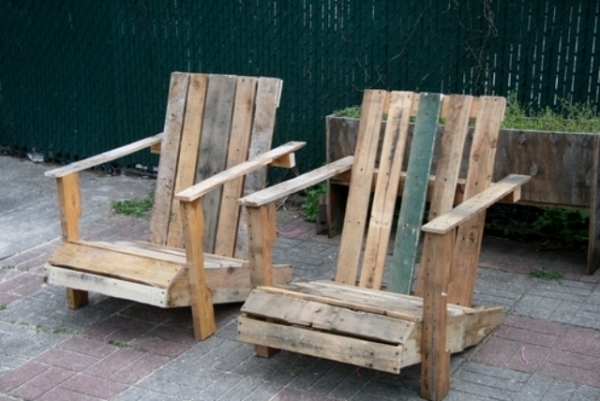 Have a look on these ideas for pallet rocking chairs. 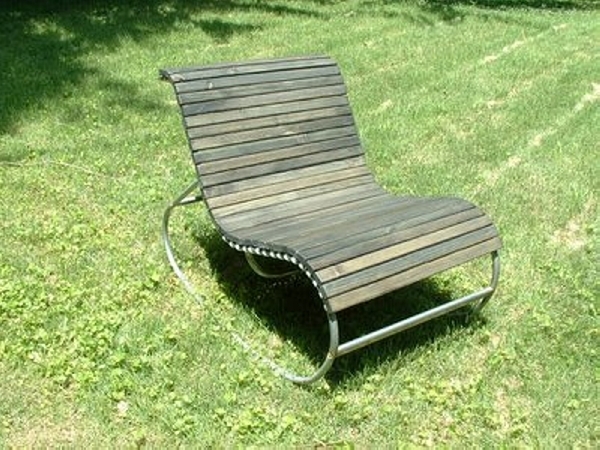 Getting started with this cable reel recycled rocking chair would be a good experience. We removed the internal wooden pillar of cable reel, and replace it with straight wood pallet planks. A metallic rod is crossed inside out to the both ends, and metallic chains are there to support the back. This wavy curvy wood pallet rocking chair is a bit different from the conventional wooden rocking chairs. It has got pretty slim and straight wood pallet planks all across its seating space. While on the base, it has a metallic frame having those specific rockers. I can still remember, I witnessed this type of rocking chair at my granny’s house. It has a pretty vintage design belonging to some good ancient times. But the design is simply tremendous, it has got all to be a perfect rocking chair. Long back, comfortable spacious seat, easy armrests and an attractive shape. 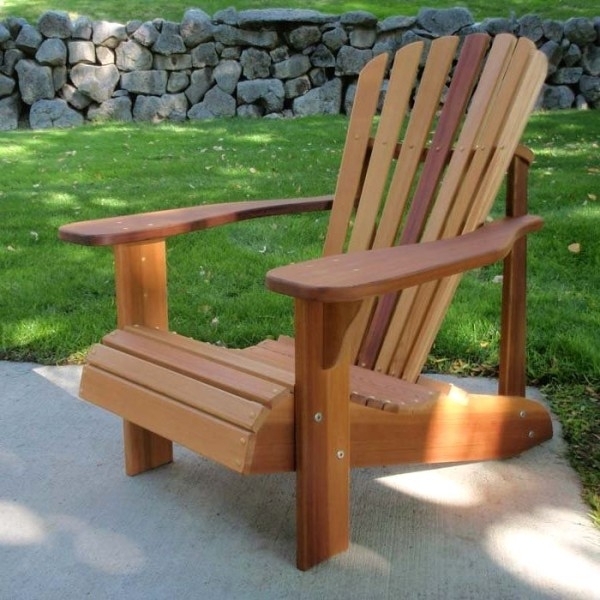 This rocking chair mainly inspired from the Adirondack wooden chair is made again using the same wooden shipping pallets. 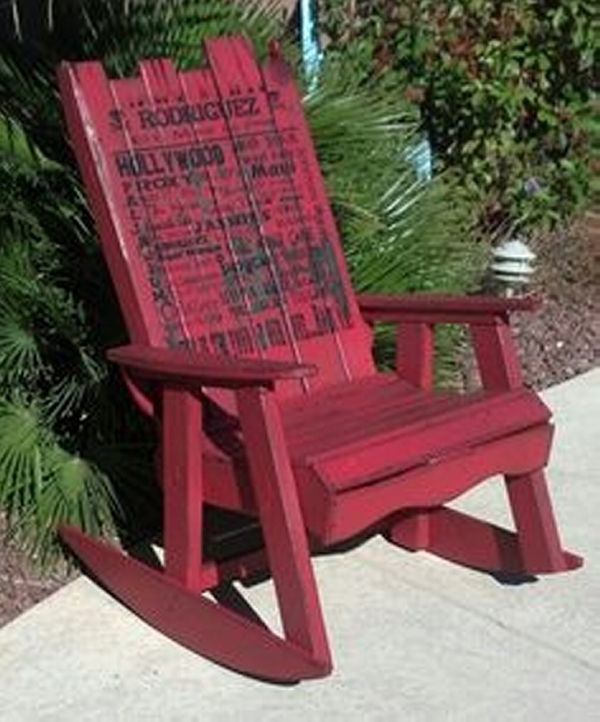 Painted with dark red color and very well sanded, this is a perfect furniture item for outdoor use. 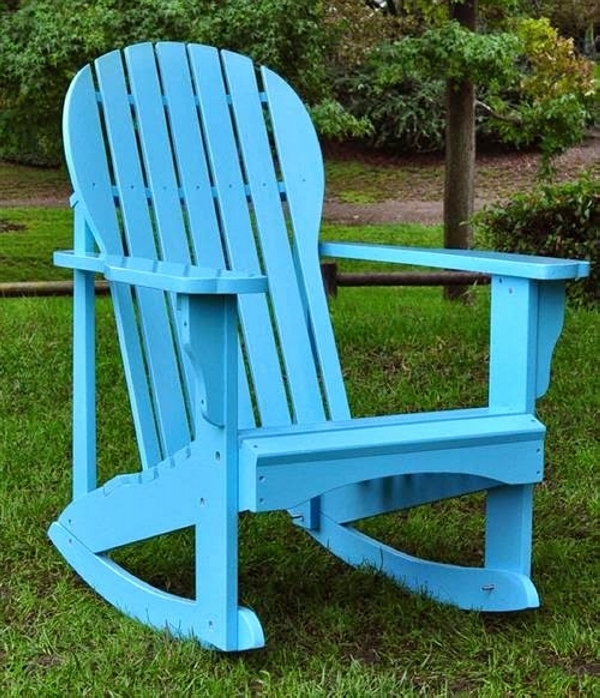 Place it inside your garden or patio and spend some quality time sitting on this wooden beauty. 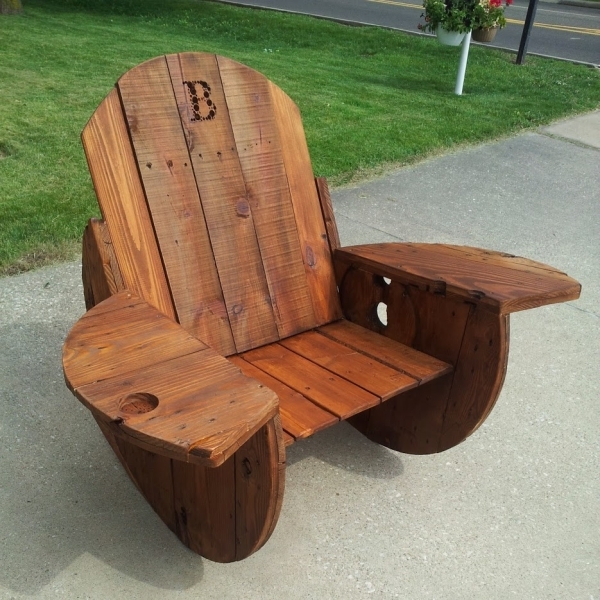 Now this is something big, a gigantic wood pallet rocker chair or may be a couch. This is a whole package of comfort, style and beauty. Huge seat, ultra luxury armrests, huge rockers on the base and above all its strange stain style is making it a tremendous wooden furniture item. Change is supposed to be the spice of life. 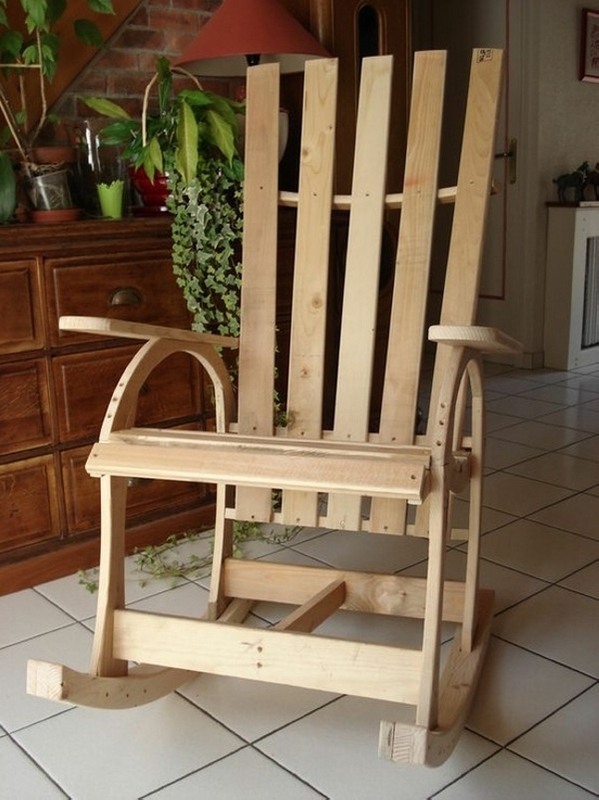 So following the approach, we planned to make a slim and light weight wood pallet rocking chair. Screwed with some heavy weight screws there should be no doubt about its durability and strength. 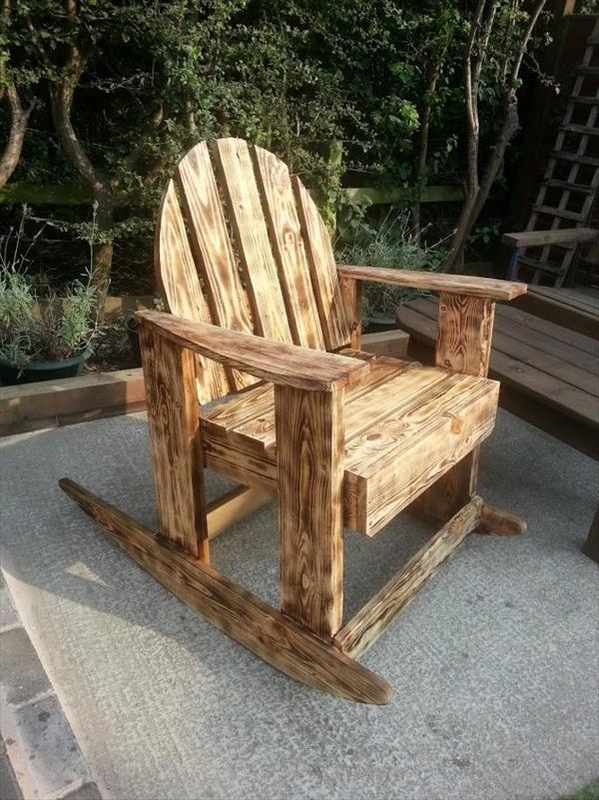 Here comes again an Adirondack inspired wood pallet rocking chair. 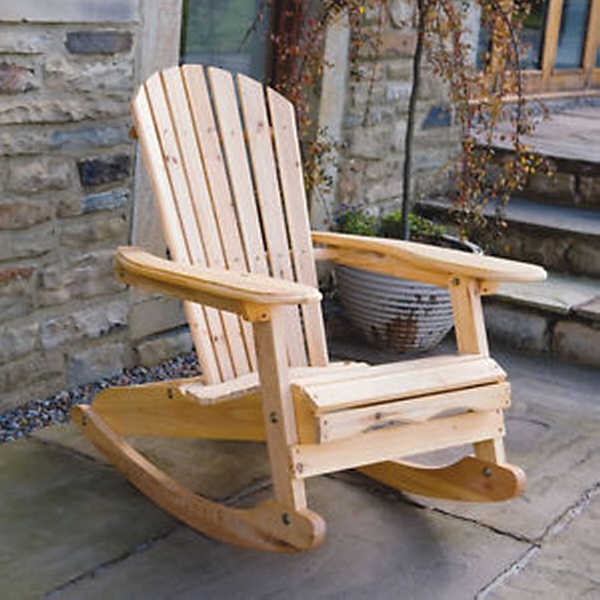 Its curvy and sloppy seat gives you full freedom to sit in a perfectly comfortable manner, while the huge and wide armrest ensure additional comfort, and curvy rockers on the base fulfill all the requirements of a perfect wooden pallet rocking chair. On the end, we just couldn’t forget our long time companion, a wooden cable reel. So we recycled it here again ending up with this ultra luxurious rocking chair. Though a bit low in the height, it still follow all the protocols of a perfect wooden pallet rocking chair with gigantic armrests, and the part of rockers is best played by the sloppy circles of cable reel.